Computerized Sewing Machines: What's All The Fuss About? Computerized Sewing Machines: What’s All The Fuss About? If you’re ready to buy your first sewing machine, or if you’re ready to choose a new model as an upgrade from your existing machine, you’re probably wondering which model would be the best one to buy to suit your needs. You’ll almost certainly have heard about computerized machines and will be wondering whether or not they can live up to the hype. 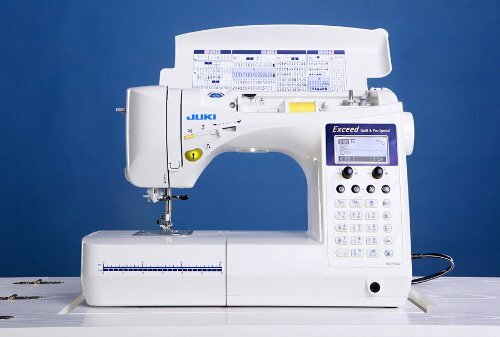 Fans of these machines are constantly extolling their virtues and saying that they are the best choice today, but if you’re wondering why computerized models are so great, this article will let you know all of the benefits of choosing this type of sewing machine and what kind of projects it can be used for. It will also look at some of the top computerized models available on the market today. Computerized sewing machines may be expensive, however they are an ideal choice for serious and dedicated sewers. Boasting plenty of features, these models function like a computer with a processor inside them and software which can ensure maximum versatility. They can even work completely by themselves if you want them to, saving you time and effort. What Are The Advantages Of Using One? Standard sewing machines have several basic stitches which they can make, however a computerized machine offers a host of stitching styles, all saved inside its memory. The user simply chooses the type they want from up to 250 different options which encompass everything from quilting stitches to embroidery. A computerized sewing machine is really like a hard drive or computer. It can have a memory card fitted into its slot or a USB cable connection to a PC so that all the patterns you’ve used or patterns that you’ve found online and would like to use can be stored inside its memory. The patterns will be saved automatically and used whenever you like. Using a computerized model is a very visual experience. It will have an LED, LCD or touch screen so you can see the stitches and patterns that you’ve saved being displayed clearly so you can make an easy choice. You’ll also be able to see clearly how your work has progressed on the screen. Computerized sewing machines have been programmed so that they can work independently once you have given them a command. There’s no need to worry about piling thick materials if you’re quilting since the machine can adjust automatically to the fabric type. You simply select your pattern, decide where you’re going to place it on the fabric and the machine will do all the hard work. With different needle types and mechanisms, this type of machine adjusts easily to the fabric and stitch being used. A computerized machine is ideal if you’re looking for speed as your main criteria. You’ll be able to get clothing made in no time and will even be able to finish a quilt in no time. Which Are The Best Computerized Sewing Machines? There are some outstanding models of computerized sewing machine on the market today, however some are top of their game. This spectacular machine is one of the best computerized sewing machines available to buy. 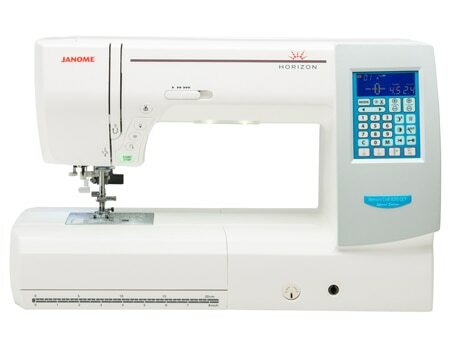 Ideal for passionate crafters and professionals alike it offers a wealth of saved stitches and plenty of automatic conveniences and features as well as excellent reliability and build quality. There are no less than 625 onboard stitches with four of those being lettering fonts, 16 being buttonholes and dozens more being decorative and utility options. The lettered keypad makes it easy to dial in the stitch you want and you’ll be able to preset customized stitches and patterns – the memory can hold 70 of them overall. The large screen displays the stitch selection clearly as well as the patterns and dimensions and can even give you extra help with troubleshooting diagrams and onboard guides. The Juki’s programming features are truly impressive, making it ideal for decorative stitching and there are virtually infinite customization opportunities. The menus are simple to navigate and yet the results achieved from this model are truly professional looking. There is an auto needle threader and drop-in bobbin as well as manual and automatic tensioning. Keen quilters will love the crazy stitches like hearts and V strokes and the hand-look stitches will also make a huge difference to projects. Allowing for free motion and coming with an extension table, it can handle your biggest projects, especially thanks to its free arm. This model may be expensive, however if you have plenty of cash to spend and are looking for a very high end machine that will produce the most impressive and professional results, you should look no further. Absolutely perfect for quilters, this model is ideal for any project you can throw at it – even embroidery. With infinite stitch possibilities, a huge touch screen and a very intuitive computerized interface, this is a truly modern machine which offers all of the latest advances in technology. There is a knee lift, a free arm and free motion function as well as an enormous table area to accommodate your full quilt. The multiple LED lights ensure that your project is perfectly lit from every angle while the AcuFeed Flex system ensures even feeding of fabric from the top to the bottom – ideal for the smaller stitches required when fitting zippers. 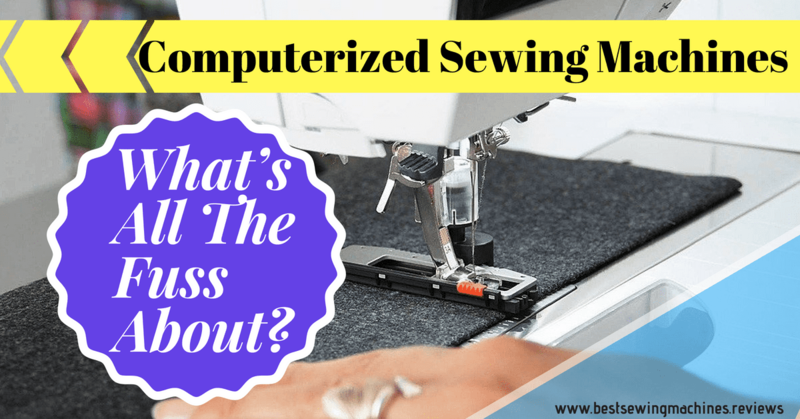 There are many excellent computerized sewing machines available to buy these days, and there is sure to be one on the market that fits into your budget. Even the basic models are a significant upgrade on a simple electronic model, and will give you greater versatility to choose from a wider selection of ambitious projects. You’ll be able to choose from more stitch types, save patterns and work more quickly so that you can get more done with more professional results. Find out more about the best computerized sewing machines available in our buyer’s guide.